How it’s going to be paid for. We all know (and Officialdom has formally acknowledged) that the big financial winners from ADS-B in New Zealand will be Airways Corporation and the airlines. We also know that, for this country to fully enjoy all the safety benefits of ADS-B, almost everyone in the aviation system will have to join the party. Just one unequipped (and therefore unseen) aeroplane flitting about in any kind of New Southern Sky airspace could pose an obstacle in the path of other traffic. 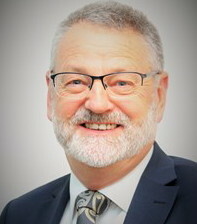 Perhaps that’s what motivated Graeme Harris, CAA Director, and the Ministry of Transport to urge everyone in the system to crack on with installation of ADS-B in their aircraft. But both also cited possible queues arising for late adopters as a major reason to get in early. The GAA is not fully persuaded. 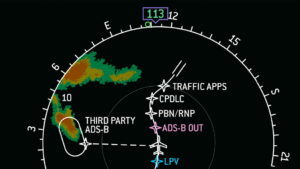 We read with interest the leading article in the latest Vector magazine, and a supporting report, about ADS-B’s introduction. Missing from both pieces, however, was the matter of expense. We know from the ADS-B seminars, and from many aviators, that the cost of this new technology is of major concern. This is particularly pertinent to recreational aviators, who face similar per-aircraft costs as commercial operators but cannot recover any of the costs. We know that, on many occasions, the question of some form of assistance to recreational aviators has been raised with the CAA. The answer has always been that the Authority is considering the matter. Now we have the deadlines and the specifications and the CAA Director’s personal recommendation that, if possible, we get on and do it. But the cost question has still not been addressed. We believe that most recreational GA operators who use controlled airspace from time to time also understand the enhanced safety benefits this technology will bring. On the other hand, the balance sheet will show them paying a disproportionate amount to comply, bearing in mind their very modest use of airspace in general and controlled airspace in particular. We asked the Director to tell us what the CAA has in mind to ameliorate the installation costs for recreational GA. Your question about the cost of ADS-B OUT fitment to recreational GA aircraft is a good one. It is certainly a legitimate public policy question whether some subsidy, or more likely rebate, scheme is applied to the purchase/installation of ADS-B by recreational GA. Given, however, that it is a policy question, I’d recommend you direct your enquiry to the Ministry of Transport. In making that recommendation I am not trying to avoid answering your question – I’m merely directing you to the agency with responsibility for the type of transport policy matters involved. In the meantime, my advice to owners and operators would be to get on with fitment as soon as possible in order to be in the front of the queue. If any subsidy scheme is ultimately introduced, logic would dictate that it would have to be a rebate scheme and in my view it would be equitable to capture those that had already fitted ADS-B to their aircraft – maybe in the past year or two. As you acknowledge, there is a cost to operators associated with moving to ADS-B. The cost benefit analysis undertaken by the Civil Aviation Authority indicates that the cost of this transition will fall disproportionately on owners of older, lower value aircraft. The introduction of ADS-B also disproportionately affects operations that are flown less frequently in controlled airspace, as well as those that do not have access to acceptable technical data, for example a supplemental type certificate for ADS-B OUT equipment. We are aware of the previous subsidy scheme offered to operators when the secondary radars were introduced in the early 1990s. Officials at the Civil Aviation Authority and the Ministry of Transport are looking at options to assist with the introduction of ADS-B. As we said in the roadshow meetings in late 2017, such a scheme is not off the table; however, there are no guarantees that a scheme will be put in place. I encourage all aircraft owners to plan for fitting ADS-B OUT to ensure they will comply. More information is available here: https://www.nss.govt.nz/workstreams/surveillance/. The GAA strongly believes that, for the Ministry of Transport, the CAA and Airways to achieve the desired result – a virtually universal adoption of ADS-B – there will have to be a rebalancing of expense for the smaller people in our aviation system. Aircraft owners and operators bear most of the costs of the proposed ADS-B below FL245 mandate. The primary beneficiary is Airways, which avoids significant costs as a result of the shift from radar. ADS-B is a ‘passive’ system; it requires low power, no transmitter and – as a solid-state system – little maintenance. Mr Harris and the Ministry possess a cost benefit analysis that highlights a major hazard directly linked to the cost of ADS-B: the risk that some operators without it will turn off their Mode Charlie units to avoid detection in controlled airspace. (We know, anecdotally, that this already occurs from time to time, because either the pilot doesn’t like talking to ATC or wants to avoid Airways transit charges). The Cost Benefit Analysis of ADS-B Implementation below FL245 was carried out by consultants Ernst and Young and was published more than a year ago, on 22 September 2017. The results are broadly consistent with the results of the CBA (Cost Benefit Analysis) with FSIWG members considering that there are significant benefits to ADS-B but with significant concerns being expressed in terms of cost and the creation of perverse safety incentives. The group felt smaller Sport Aircraft operators – particularly microlights – would be the most affected by the regulation, positively and negatively, with commercial operators the least affected. The results suggest that increased safety within uncontrolled airspace is the most likely and most beneficial outcome to all users with the potential for voluntary ADS-B in creating strong potential benefits, although these benefits could be offset by an ‘over-reliance’ on the ADS-B system for situational awareness. The greatest risks were perceived to be in changes to flight patterns and pilots choosing to turn off their transponders to avoid detection in controlled airspace. There was significant concern that particularly non-commercial operators would be significantly and adversely affected by the cost of upgrading their fleet, and may choose to operate ‘outside’ of controlled airspace, even if this required longer travel times / more circuitous routes. This may also encourage some users to turn off their transponders (if they have them) within controlled airspace to avoid detection and take the preferred route, particularly if their transit of controlled airspace is infrequent. A view was also expressed that some operators may turn off their transponders to avoid Airways fees. A risk was also perceived that Sports Aircraft operators would be disproportionately affected by upgrade delays, given the lack of STCs for their aircraft. In instances where aircraft require certification for an upgrade, this can take significant time. If a current Mode A/C or Mode S transponder fails inspection, the owner chooses to upgrade to ADS-B, and there is no STC available, then a design approval and certification is required from the CAA. There is an option for aircraft owners to seek approval from a Part 146 organisation, and the 60-day stand down policy is designed to encourage that behaviour, but some aircraft owners still seek to use the CAA for upgrade certification. This can take 60 days to process, during which time an aircraft cannot, in practice, be flown. This can have a significant cost to users. The time-cost penalty disproportionately affects helicopter users, as they have the highest capital value, although the most likely aircraft to face a delay are microlights, due to the tendency for those aircraft to have older and less heavily used equipment. There are costs imposed by the implementation of ADS-B that go beyond the simple equipage costs of the aircraft. For some users, the cost of equipping an aircraft will be judged by them to be too high relative to the value of the aircraft, or it will be viewed as ‘uneconomic’ given the amount of time they are in controlled airspace. These users suffer a regulatory impost, made up of real asset value reduction, a reduction in their enjoyment of their aircraft and a reduction in usage value – their ability to freely enter controlled airspace. As a proxy for these costs, a one-off asset value reduction method was used, where those individuals who choose not to upgrade are left with an aircraft that cannot enter controlled airspace. Based on stakeholder feedback, the level at which it would become likely that a user would not upgrade would be $40,000; stakeholders estimate that 50% of those users would not upgrade. About 40% of microlight aircraft have values under $40,000, based on TradeMe data, and the average value of those aircraft is around $35,000. The powers-that-be have had the evidence for more than a year: ADS-B will have the most serious financial impact on smaller commercial operators and, most of all, on private operators. The potential victims have mentioned this imbalance loudly and often at ADS-B seminars across the country. And yet the authorities continue to sweep the money problem under the carpet. Contrast that with the European Union which, when new radio frequencies were introduced (meaning new radios had to be fitted), swiftly offered a financial package to help general aviators bear the burden of re-equipping.